With the summer holidays rapidly approaching, this is the perfect time of year to visit a local farmyard and have fun in the sun! There are lots of family-friendly farms right around the country, but with so many to choose from, we thought we’d narrow things down just a little with our checklist of favourites. Tucked just inside Manchester’s ring road, Reddish Vale Farm is ideal for a great family day out. You and your little ones are welcome to hold the smaller, fluffier animals and are encouraged to help feed them too. 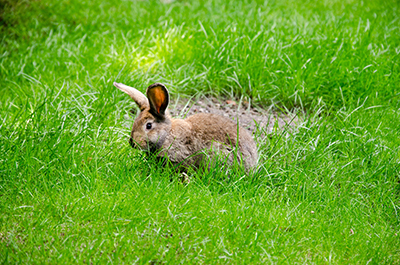 There are plenty of events on over the summer, including ferret racing and a bird show. You can even book a birthday party on the farm for your young animal enthusiasts! Plus, the attached riding school also does walkouts on Saturday mornings, to get young riders their first adventures on horseback. 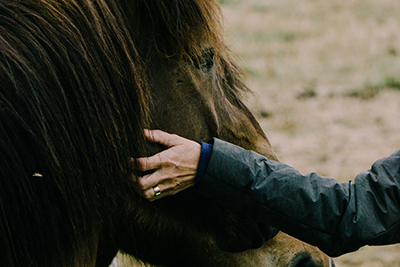 Jurys Inn Manchester is just 25 minutes’ drive away from the farm - perfect for a city break. Croxteth Park Farm specialises in rarer breeds of common farm animal, so while you will still get to see lots of cows, sheep and pigs on their working farm; you’ll be delighted to know that these animals are doing their bit for the diversity of their species. This makes the farm a great opportunity to learn a bit more about genetics, as well as some of the traditional Victorian farming methods that are still in use today. The Farm is also home to Larkin Café, which stocks locally grown veggies as well as free range eggs and duck eggs - delicious! They sell rare breed beef and pork that are raised locally, too. 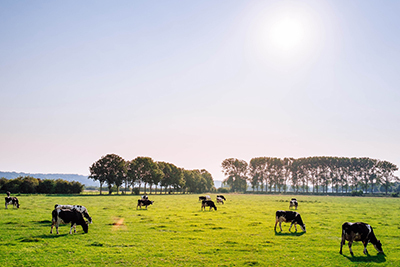 A true city farm, Croxteth Park Farm is less than a 45-minute drive away for 5 million people, and just 25 minutes away from Jurys Inn Liverpool. Tollcross Park may not be the largest farm on our list, but there are more than enough chickens, ducks, rabbits, goats, horses and one very lazy pig to say hello to! 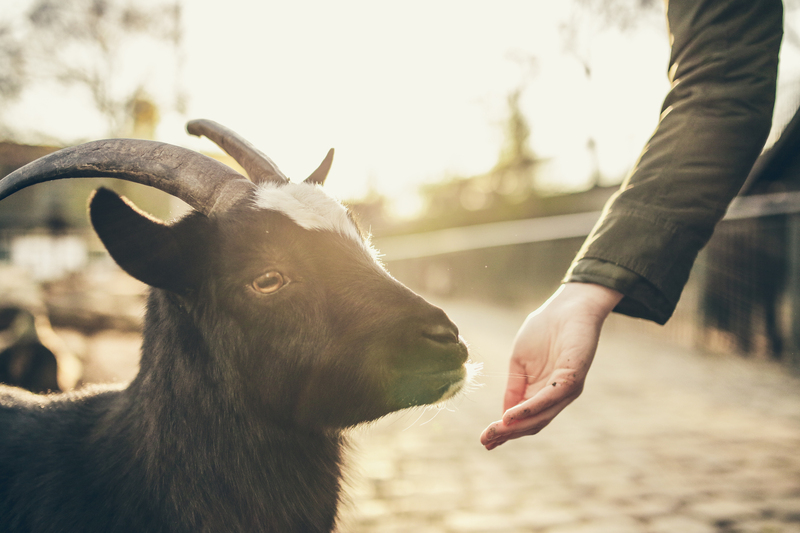 The petting zoo is ideal for letting your kids get up close with the animals in a safe environment, and the staff here are particularly welcoming too. The park itself is also a great attraction with play areas, picnic benches (should the sun come out!) and lots of grass to run around on. The rose garden is always a pleasure to see, with a wide range of varieties to enjoy. Just a 15-minute drive from Jurys Inn Glasgow, this is the perfect area for running off some steam. 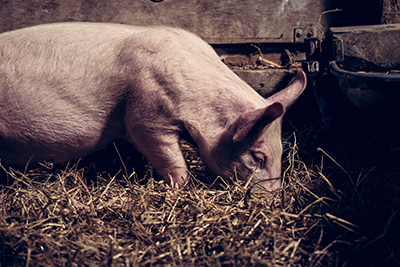 Pennywell farm is best known for breeding micro pigs and your kids are certain to love cuddling these bundles of joy. The piggies are tiny, love interacting with people and there is even a pig race each day! They’re so cute that you’ll wish you could bring one home with you. But the pigs aren’t the only attraction here. There’s also a petting zoo full of rabbits, guinea pigs, chicks and ducks as well as bigger animals like alpacas and goats to see. Plus, you can visit their ‘funky foul’ section to say hello to all their rare breed birds and admire their incredible plumage. Pennywell farm is on the edge of Dartmoor and almost exactly equidistant from Jurys Inn Exeter and Jurys Inn Plymouth, around 30 minutes’ drive each. This is a farm like no other - there are huge moving dinosaurs to get past before you reach the cute fluffy animals on the other side! 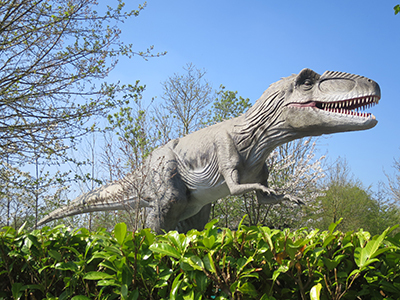 Gulliver’s Dinosaur and Farm park is ideal for young families and can cater for kids of all ages, with a wide variety of things to do and see. This farm see it as their mission to keep your kids busy all day long, so have a go at a cookery class, play around in the pottery and look after the animals in Cuddle Corner to begin with. Then finish your day with a tractor ride before dropping in to the hatchery and visiting the aviary. You could easily take the 8-minute drive from Jurys Inn Milton Keynes by private car or cab, but you can get there with a walk through the lovely Campbell Park too. Another farm that’s great for the whole family, Roves’ combines indoor and outdoor activities to make sure that you can have a great time together whatever the weather. They promise attractions specifically for toddlers, as well as lots of entertainment for your older children. Feed and cuddle the animals in the petting zoo before building a den together using willow sticks in the den building area. Go and say hello to the donkeys, alpacas, sheep and goats in their paddocks, then run off any extra energy at the adventure play area. That’ll make for a quiet ride back to Jurys Inn Swindon, which is just 20 minutes away. Wherever you end up this summer, a day on the farm is fun for all the family and there are plenty of great locations to choose from!